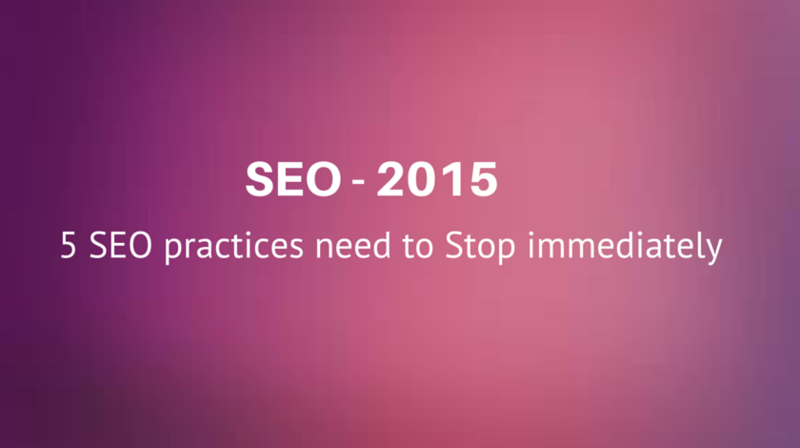 The SEO practices that used to work in the past but nowadays are considered unsafe and should be avoided. Most of the SEO companies are not up to date and using the same 5 practices and this is the reason they are not getting the results they want. Google has also stated in their quality guidelines that any links intended to manipulate page rank or a site’s ranking in Google search results may be considered part of a link scheme and a violation of Google’s Webmaster Guidelines. Here’s a look at 10 types of link building strategies that are spammy, low quality, or unnatural plus quality alternatives. search engines like content and reward websites that are updated regularly. But they only reward websites that have lots of GOOD, unique content. Don’t build out pages just for the sake of SEO and getting noticed by the search engine spiders. Always keep your target audience members in mind. Creating one page that is nearly identical and has similar information to another page ruins the user experience and will also hurt you from an SEO perspective. Not only will the search engines not know which page to rank for specific keywords, but it also means that you are essentially competing with yourself. If the content is very similar it could even be considered duplicate content, which is also frowned upon by the search engines. Some companies still believe that adding links to press releases and distributing them through various channels will help in improving the organic rankings. However, this is considered a a bad tactic. Google with the latest release of Panda wanted to pass the message that press releases do not help SEO and they did it in the most obvious way. Keyword research and selection is the backbone of any marketing campaign. The mistake that most of the seo freelancers and seo companies, and small businesses are doing is that they only take high volume keywords because they believe that this is the only way to get more traffic. If you are starting a new website, then targeting such keywords is not a good choice because you will never going to rank for those keywords in a month or two. Unless you ‘hire an expert. Nowadays SEO not only includes keyword research, meta tag optimization, keyword density, web pages content optimizations, custom 404 error page, anchor text optimization, add content on homepage and other pages, html sitemap optimization, robots.txt optimization, ror.xml, info.txt, urllist.txt, website page speed optimization, broken link optimization, heading tag optimization, schema tag implementation, internal links optimization, back links analysis, internal links structuring and optimization, external links analysis but it also includes social media, content marketing, mobile marketing and other tools available in your digital marketing strategy.